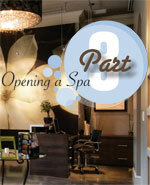 In the summer, we set out to guide potential spa owners through the process of starting their own business with an eight-part series aptly titled “Opening a Spa.” The task of finding a home base is so daunting to undertake, yet so critical to get right, that it has been chosen as the focus for part three of this sweeping series. Finding the right location is not something that a spa owner should take lightly and it is much more than just discovering a nice setting. Enlisting the services of a real estate agent doesn’t cost a thing, explains Johnston. The services that are paid out to a real estate agent always come from the selling end, so there is no cost above that of the property. Even with a strong client base, location is still an important factor in attracting new customers and maintaining profitability. For almost a decade, the Spa Magnolia was located on the second floor of the Magnolia Hotel in Victoria, B.C. In this new location, Spa Magnolia sits within walking distance of six large condo facilities, several hotels that do not have on-site spa facilities, and a number of local hotspots. This new building fit with the image of Magnolia, which is something that spa owners must consider when seeking out a home. “The location often speaks to the type of services you’re going to offer. The building we’re in presents itself as a place that will be luxurious, high-end. You don’t want to offer day spa services from a location that you’ve financed for an extremely high price,” says Zeenema. “That will have a huge impact on the revenue that you’re bringing in. Transportation costs in some form are usually necessary when taking up residence somewhere, but this should be taken into consideration nonetheless; as the miles grow, so does the bill. 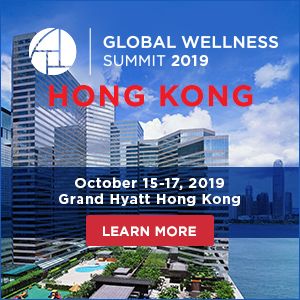 Spa owners must also consider the type of building or facility that best suits their model in order to maximize sustainability and profitability. If considering a century building, first consider this: These buildings are often constructed with thick cement walls, which means any overhaul of the plumbing and electrical systems will be costly. HVAC systems (heating, ventilation and air conditioning) will likely require full renovation; sprinkler systems are a legal necessity for a business; narrow stairways, a regular occurrence in older buildings, will need to be widened; and according to Lyon, windows often need to be replaced. “Another consideration is that rooms in these old buildings are often large: at least 12x14. To get the best use of space, rooms in a spa should be 10x12,” says Lyon. “Our renovation alone was around $1.5 million,” says Zeenema. The home of the spa is likely to be the single largest expense you carry as an owner, and protecting that investment is one of the most important steps to keeping the business profitable. “Once a building is [selected], it should be insured immediately to avoid being exposed to potential losses resulting from a fire, wind damage or liability such as if a customer falls or is injured in some way on the premises,” says Julia Oosterman, Spokeswoman for Royal and SunAlliance Canada. When insuring a building, she says, a professional appraisal is recommended to ensure appropriate coverage is purchased. “This is particularly important for older buildings or more ornate buildings that were built with materials not readily available today,” she says. Insurance coverage for the stock and equipment within the building must be purchased separately. Stock and equipment must be organized within the spa to promote sustainability; indeed the layout of the spa can be as important as the structure of the building itself. When it comes to choosing your building, the layout and even the direction of your spa in terms of services, you need to know what your target market is demanding. You may have a vision for the style and flow of your rooms, but if the market that you’re targeting wants something different, you don’t want to miss that. “Today, many spa owners are enamoured with Vichy showers. It’s a wonderful service, but if your clients aren’t familiar with the shower, they may be reluctant to purchase this expensive service. It’s very expensive to install this in your building. Will it really be worth it?” asks Lyon. Once you’ve tested your market, a financial projection needs to take place, taking into account all the costs associated with the building and outlining the potential for the spa’s layout to contribute to success. “Once you understand all of your expenses, you understand whether or not your floor plan is going to be viable. Many spas dedicate prime real estate within the spa to lower margin services such as manicure or pedicure. This is a completely backward plan. 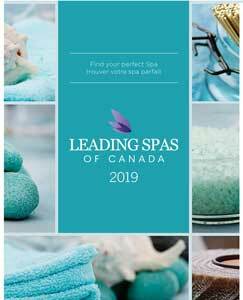 Spa owners need to think about taking the space that is often used as a manicure/pedicure amphitheatre and turning it into treatment areas that generate high value services,” says Lyon. Finally, less obvious and often overlooked, spa owners must ask if the talent pool exists in the area to accommodate the size of the spa and the services offered. A remote location combined with a large facility and a small talent pool from which to draw employees is a recipe for failure. Spas have a high failure rate, and the reason for some of these can be traced back to poor decisions about real estate. The process to find the literal foundation of your spa business may be the most important decision in the lifespan of the business. “The big thing is, you absolutely need to be sure that you’re able to achieve what you want with the structure of the building,” says Zeenema. It is likely that a real estate agent will find you a building that is already established as a business location. However, there are instances where an older home that is ripe for a spa transformation sits in a residential area. In this case, the spa owner or real estate agent will need to have the house rezoned. This means going through the local government’s rezoning application process. “It’s not likely that you can get commercial zoning in a clearcut residential area. It would have to be in an area that already has some mix of commercial and residential, like in most cities’ downtown cores,” says Matthew Johnston, a real estate agent with Prudential Leclair & Associates Realty. Annie Simpson is the Director of Rouge Spa Consulting, an auditor of resort, hotel, destination and day spas. 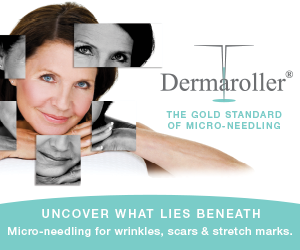 She also serves as a consultant on spa improvements, and provides education and training on spa performance. We asked her five questions that spa owners must consider when approaching the design of the spa. Are there decorative elements that a spa needs to get right in order to create the proper environment for relaxation? I would definitely class lighting as an important decorative element. It’s a crucial component for the success of any spa as it brings balance and harmony to create the perfect ambiance and a stress-free environment that will help anyone feel completely relaxed. A good mix of natural and artificial lighting is critical. Soft light is what clients need in the spa. Should different rooms have different themes that fit directly with the service being offered? I am a firm believer in the universal treatment room concept. In my opinion, it is expected that the original setup cost will be much higher than a standard treatment room but the yield will be much higher. A universal room is a treatment room that has been specifically designed to accommodate most or all of the treatments that are listed in the spa service menu. This provides advantages along the lines of increased treatment revenue, reduction of downtime, ease of scheduling and better inventory management. Is there a point where white can go from being a clean colour to sterile? Can a spa incorporate too much white? Personally, I love white-infused spas. Especially when a few minimalist, brightly coloured objects are neatly incorporated into the décor; this can really make those items pop out. Whites, as with beige, sand, and off-whites, work well in every spa model, as long as it is kept very clean. The use of soft light and accents can create a warm/comfortable balance, even when every surface is white. Are there colours to stay away from in the spa? Today’s spas are able to welcome all colours. Dare to be different and incorporate something that may not be completely traditional. Just remember, when the customer service and treatment quality are not up to the expectations of a guest, they will quickly forget about the colour or the shading of the paint on the wall. Design will never make up for poor quality service. 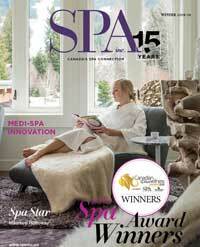 Are there any design trends that spa-goers are flocking to in greater numbers these days? Customers will always be attracted to the spa environment if it is comfortable, welcoming and warm. As far as I know, there are no specific design trends that are getting more attention today than others, but of course there are services and general industry trends that come and go. Preventative care and spa sampling menus are just a couple of those. For an outline of industry trends visit www.experienceispa.com/articles/index.cfm?action=view&articleID=249.